Masterpieces in the MAS. Five Centuries of Images in Antwerp. At the exhibition Masterpieces in the MAS. Five Centuries of Images in Antwerp (17 May 2011 – 30 december 2012), the Koninklijk Museum voor Schone Kunsten in Antwerp (KMSKA), the Museum van Hedendaagse Kunst in Antwerp (MHKA) and the Plantin-Moretus/ Print room Museum study the development of Western visual culture in all its forms. The exhibition takes as its starting point a paradoxical observation. Initially, the formal aspect of the Western pictorial tradition was shaped largely by the materials used, yet the content invariably referred to the intangible, the sacrosanct. Only the most durable and hence precious materials were chosen to represent the gods, and the Roman emperors, too, were preferably immortalised in gold or marble. In the course of the centuries, however, the nature of visual representation changed, eventually leading to today’s flow of fleeting images. But fleeting though they may be, never before has their content been so profoundly materialistic. Flanders played an important role in this evolution. 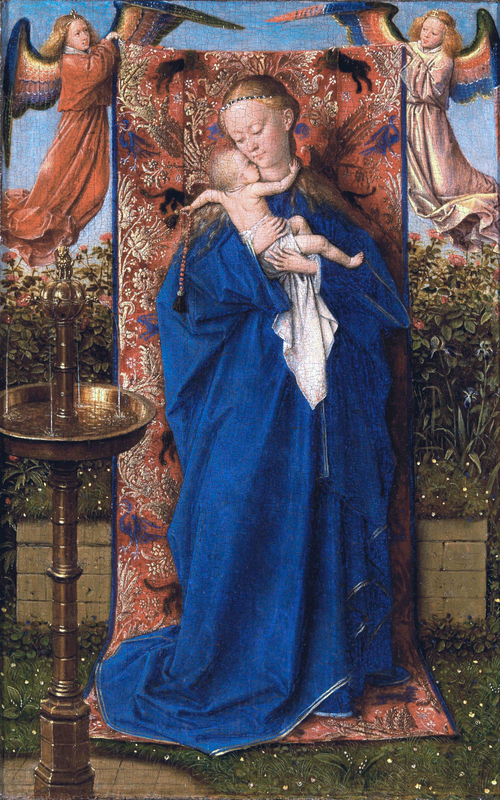 The Early Netherlandish painters replaced the gold leaf backgrounds and aureoles surrounding the heads of holy persons with painted representations. They applied their own pictorial language, which acknowledged the divine in every detail of the world around them. In keeping with this mystical worldview, their paintings characteristically featured multifarious objects charged with symbolic meaning. Five centuries on, Flemish artists continue to search for meaning in the seemingly random, and to produce silent images as a counterweight to the blare of consumerism. Click here for the exhibition on the CODART website. Visit the webpage of the exhibition on the MAS website. In the Early Modern era, the image was transformed and democratised with the advent of printing, a process in which Antwerp played a leading role. However, printing not only disseminated knowledge across the globe, it was also a vehicle of colonial expansion. The illiterate pagan natives of overseas territories were inundated with a flood of pictures that effectively laid the foundation for today’s global visual culture. The accumulation of knowledge went hand in hand with the collection of objects or their visual representation. Supplies of rare minerals, exotic seashells and other so-called naturalia passed through Antwerp and other ports. Many aristocrats, as well as wealthy merchants and members of the bourgeoisie, established their personal cabinets of curiosities, precursors to modern-day museums. Purposely designed pieces of furniture with drawers and compartments brought order to the chaos. As knowledge grew, objects were subsumed into categories, some of which are used to this day. Various new genres of painting emerged, including still-lifes, landscapes and peasant scenes, as artists increasingly catered for individual tastes. Concurrently, the standardisation of panels and canvases simplified their production and marketing. The history painters of the Renaissance and Baroque eras typically captured moments in a narrative by combining personifications of abstract notions. These allegories are like visual riddles, whose Humanist meaning the viewer must piece together, and whose content is an expression of the worldview of the artist and his audience. Equally complex, yet fundamentally different, are the images produced by contemporary artists from the region. They tend to approach their subject matter as mundane and, in so doing, create scope for reflection, thereby transforming the diminutive into the monumental.